If you have any questions or want to enquire about dates, use our form to contact Rebecca McFarland or see their website for more information. All roads lead to Edinburgh from this sweet little cottage on the Northern edge of Holyrood Park. You can stroll to the Palace, the Scottish Parliament and the Royal Mile in under ten minutes– and be back in a snap in your prettily renovated 1860s home. High ceilings and whitewashed brickwork frame the open-plan studio which spills out to a sun-trap conservatory and leafy cottage garden. Clean lines and smart design – a black leather sofa, wood-burner, polished pine floors, subtle uplights and lamps – create a minimalist feel enlivened by owner Rebecca’s personal touches. (And passion for knitting: feel free to rummage for wool and needles.) To one side is a small, well-equipped kitchen with stainless steel pots perched daintily on a high shelf, a little square table for two and a welcome basket of wine, jam and biscuits. A super-king bed can be split into singles and curtained off from the living room at night, and there are robes and slippers to step into after a drenching hot shower. You wake to daylight streaming through wooden shutters and the excitement of Edinburgh outside the door. Free street parking, too. Lovely Rebecca is waiting to welcome you to this amazing quiet little gem. Surrounded by green hills but only a short walk to Edinburgh's main sights, it's perfect. After a busy day exploring, return to the log burner on a winter's night or the south facing garden for summer evenings with a glass of wine in hand. Lots of lovely little bistro places nearby, so food lovers won't be disappointed. Holyrood Cottage was immaculate, lovely and comfortable and beautifully and thoughtfully appointed. With its own little private garden and spacious living area, it is a perfect weekend or short stay bijoux place for two, right next to Holyrood Park and within easy walking distance of the city. Rebecca was a superb host, responding immediately to any questions and going to lengths above and beyond to make our stay as easy and comfortable as possible. The cottage is top of my list for a place to stay whenever I am in Edinburgh. Thank you so very much. Ideally located, extremely comfortable & beautifully presented cottage. The owner Rebecca was so thoughtful, from leaving bread, milk & wine (the essentials!) in the fridge to even picking us up from the station! We had a wonderful stay & would highly recommend it. Excellent hostess Rebecca who provided a wonderful welcome pack.spotlessly clean and very well equipped accommodation. Great attention to detail even dressing gown and slippers.Very good location directly behind holyrood park and Arthur's seat. I cannot recommend this place highly enough and very much look forward to returning. What a fantastic place. It is immaculate and just as gorgeous as it looks in the photos. It has everything you need and has been really well thought out, with lots of lovely touches, even the log fire was laid ready for us to light it. Rebecca was lovely right from the first contact, very helpful and welcoming. It's in an ideal location just yards away from Holyrood Park and walking distance from the city centre. We would highly recommend it and we're already planning our next visit! What a gem. Every need catered for. Immaculate facility with an eye to detail and style. Superior hosts who made our stay so welcoming. Log fire great, bed soooooo comfy. I could go on but it would all be in the same vein. We will return without doubt. Thanks Rebecca for a great stay. We have just had a wonderful weekend at Holyrood cottage and would highly recommend it., in fact I would say it was the best ever self catering accommodation we have stayed in in the UK. We had a warm welcome from Rebecca when we arrived and she was really helpful. She has really put a great deal of effort into making sure visitors have everything they need. The cottage is absolutely lovely and we will definately return. 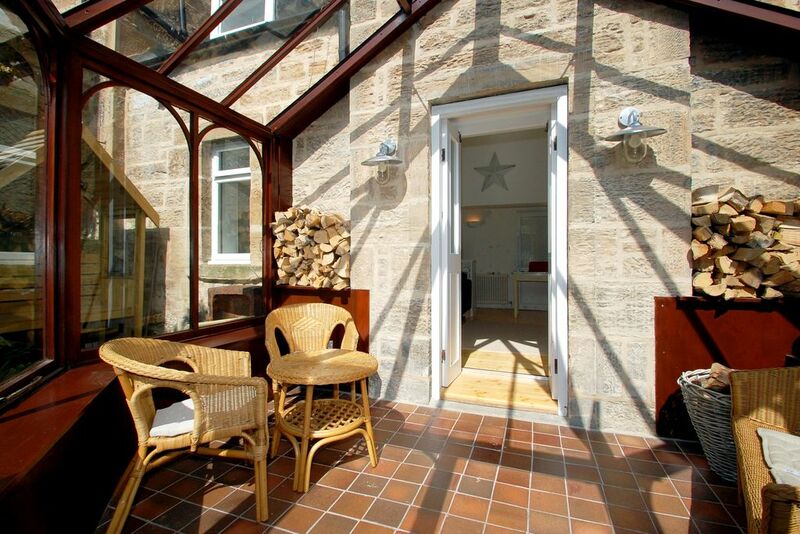 Holyrood Cottage is a truly fabulous place to stay. Rebecca could not have been more helpful from initial contact right through to wishing us a safe journey home. I would not hesitate to recommend Holyrood Cottage and hope to be making a return visit soon. The cottage is within easy walking distance of the city centre. It's situated on the edge of lovely Holyrood Park (a runners and hillwalkers’ paradise) with its three small lochs and giant hill – Arthur’s Seat, Edinburgh's extinct volcano. The 50-minute walk around the hill gives you breathtaking, panoramic views of the city and the sea. Feed the swans in the lochs then head back to the cottage, light the stove and snuggle down in front of it with a glass of wine – you've earned it! A walk around or over the hill brings you to the super-cosy Sheep Heid Inn, Edinburgh’s oldest watering hole, established in 1360. Or wander down Holyrood Rd for Swedish pub, Hemma, Holyrood 9A for craft beers and burgers and Hendersons for veggie nosh. Tour the Scottish Parliament building and the Palace of Holyrood House, the Queen’s official Scottish residence – a stone’s throw from the cottage. Scottish Parliament tours are free, but book online in advance. The Parliament and Palace sit at the bottom of the Royal Mile. Walk up the Mile and you’re at the Castle – and in the city centre with its abundance of restaurants, shops and attractions.